Google has launched its first Smartphones under the new brand name called Pixel. 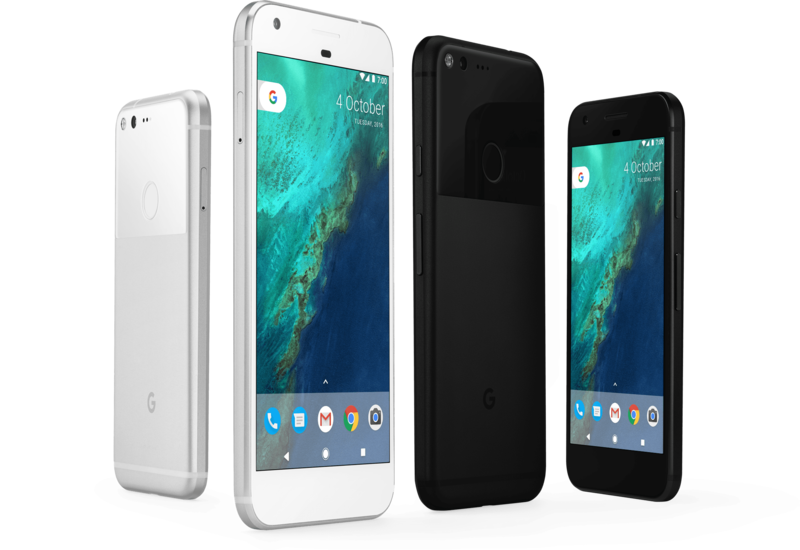 Google Pixel and Google Pixel XL is the new smartphone from Google and it features 2.15 GHz Qualcomm Snapdragon 821 CPU, 4GB of RAM, AMOLED Display, USB Type-C and Live Cases. Google Pixel comes with 5-inch Full HD AMOLED display with 2.5D Corning Gorilla Glass 4 while Pixel XL comes with 5.5-inch QHD 1440p AMOLED Display with 2.5D Corning Gorilla Glass 4. Google Pixel & Pixel XL features 12.3MP IMX378 rear camera with Stabilization, 1.55um and f/2.0 aperture and 8MP front facing camera. with 1.4um and f/2.4 aperture. The camera can record 4K video @ 30fps and Full HD video @ 30 fps,60fps,120fps. Pixel camera got DxOMark Mobile score of 89, through the point system won’t tell how exactly the camera. But last Nexus 6P carrying a pretty interesting camera and I always believe Camera quality depends more on software rather than hardware side. The Pixel carrying a glass-aluminum body and fingerprint sensor. The Pixel also comes with Google Duo and Allo pre-installed. The Google Pixel and Google Pixel XL will be up on preorder from October 13 in India and the starting price of the phone will be Rs. 57000, that’s hefty price from Google. The phone will be available on Flipkart, Chroma, Reliance Digital and Vijay Sales.